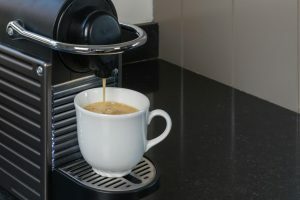 Almost everyone needs a strong cuppa as their early morning fix, but no one wants to go through the process of brewing a pot and choosing ingredients when they are not even fully awake, or stand in long queues at your favorite coffee shop, especially during the morning rush, just for that cup of coffee. 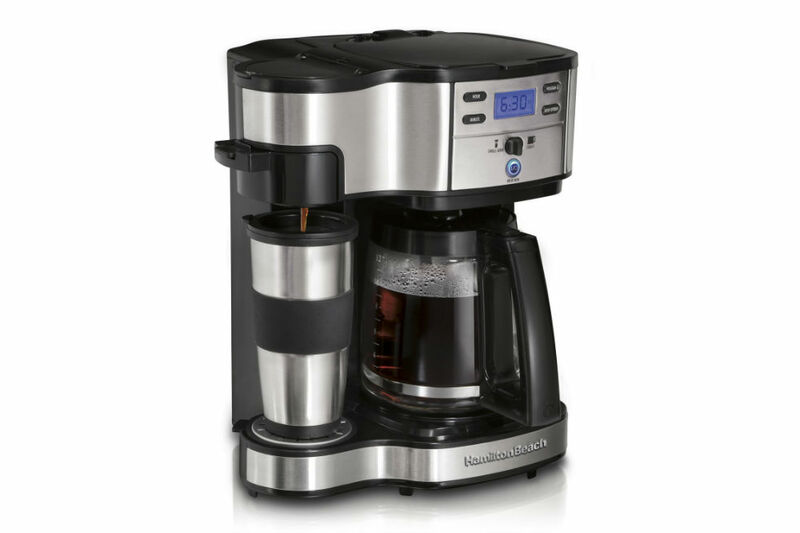 The Hamilton Beach Single Serve Coffee Brewer and Coffee Maker is the perfect solution to all these problems. It is a high-quality coffee maker that provides you with the taste of premium roast coffee at a fraction of the cost and time. In contrast to the Hamilton Beach Coffee Brewer and Maker in price, comes the Ninja Bar Coffee Brewer, Carafe Glass with Ninja Cold and Hot 18 oz. Insulated Tumbler. 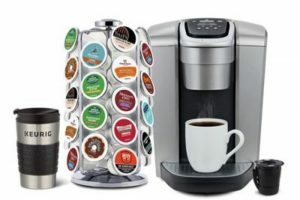 Its multi-serve dial lets you choose the size of the cup, mug, glass, or carafe you want to fill. Its thermal extraction flavor technology lets you choose the flavor and strength of the brew. Depending on the selected brew type and size, its Auto-iQ One Touch Intelligence draws the correct amount of water from the reservoir. The glass carafe has a capacity of 43 oz. A precise temperature warming plate keeps the brew at drinking temperature even 2 hours after auto shut off. An 18-oz. hot and cold tumbler, glass Ninja easy-milk frother, permanent filter, and a Ninja coffee scoop are all included with the machine. For a price which is slightly less than the Hamilton Beach Coffee Maker, 2-Way, comes the Zojirushi EC-DAC50 Zutto 5-Cup Drip Coffeemaker is a 650-watt drip coffeemaker that makes a maximum of 5 cups of coffee. There is filter cone inside the decanter. It has a hidden yet detachable water reservoir and an auto keep-warm function. The water filter is replaceable and comes with a measuring spoon. 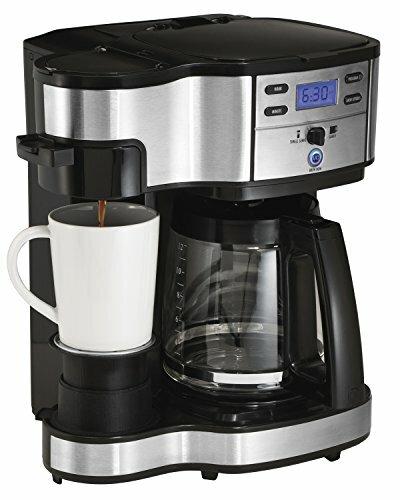 When compared to the Hamilton Beach Coffee Maker, 2-Way, the Ninja Bar Coffee Brewer does not keep the coffee warm and it makes a huge mess. Also, even after repeated brewing, the carafe doesn’t brew the entire pot! Against the Hamilton Beach Coffee Maker, 2-Way, the Zojirushi EC-DAC50 Zutto 5-Cup Drip Coffeemaker make a maximum of 2 mugs of coffee. There are no indicators to let you know that the coffee is ready. There is no auto shut-off. The glass carafe is made of glass too thin and breaks into pieces. 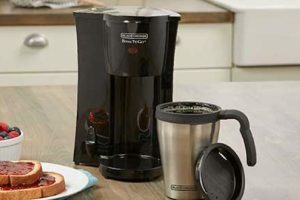 The Hamilton Beach Coffee Maker, 2-Way strikes a perfect balance between having flavored pod coffee and having authentic ground-bean coffee. 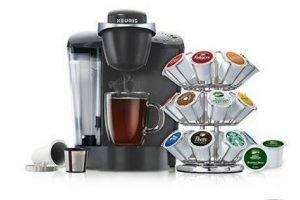 Because this machine is not compatible with K-cups, it is greener in comparison to its competitors. 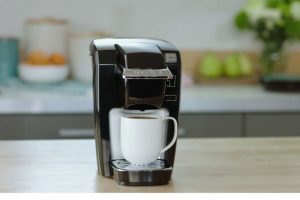 The Hamilton Beach Coffee Maker, 2-Way also services the need for instant coffee, bagged tea, or hot cocoa. Water sight indicator lets you know if the carafe needs water or not. 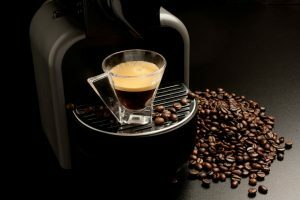 The cons of the Hamilton Beach Coffee Maker, 2-Way are overrun by the product’s features, as well as many advantages. 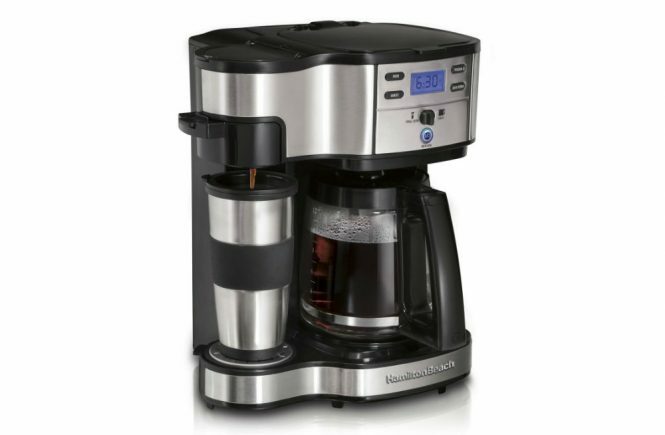 Hamilton Beach Coffee Maker, 2-Way is an ideal companion for your coffee times.